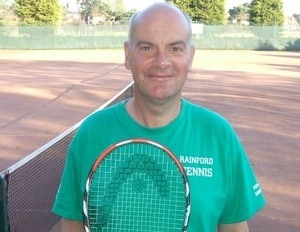 Steve Vincent has retired from competitive tennis after 20 years of playing for the teams at Rainford Tennis Club. Steve, who is Director of Tennis for the Rainford Tennis programme, has been suffering from a long-term back injury and has decided that he can no longer take part in competitive tennis. Steve has been a member of Rainford Tennis Club since 1990 having previously played for several clubs in the south of England. He will now concentrate on his role of overseeing and delivering the Rainford Tennis programme, both at the Jubilee Recreation Ground, the Spinney Park and in the local schools.